One of the most important aspects of helping your toddler grow into a more responsible and more successful grownup is making sure he has the correct type of play activities. It is very important to understand that playing is your toddler’s way of learning. Remember, he doesn’t know how to read yet so you don’t expect him to learn things the way you learn them in school. And this is where toys and playthings play a very important role in their mental, cognitive, emotional, and social development as well as mastery of their physical motor responses. However, not all toys will be appropriate for your toddler. Neither is every toy safe for your tyke as well. As such, it is very important to make sure that you understand the developmental milestones that your toddler will be achieving in this period of his life. This will help you better choose the right toys for your toddler. There is a general confusion as to what age toddlerhood begins and ends. For some it is generally that period in life between 12 months of age and 3 years. However, there are also those that say it is between 18 months and 3 years. Still, there are also others that say it should be between 12 months and 24 months. It is for this reason that it is often better to look at the developmental milestones of your child to determine their developmental age. And when we do talk about development, we talk about maturity. But this is often taken within the context of what is considered normal for his age. Hence, a child who is already 2 years old and still has not learned how to pull himself up to stand can be seen as experiencing developmental delays. While this child is already 2 years old, his developmental maturity is still that of an infant of 9-12 months of age. Now, of course, this is quite rare and may represent some physical problems in the child. Nevertheless, these developmental milestones are what child development experts look for whenever they want to assess the ongoing development of the child. They observe the child and try to compare the observations with certain standards to determine whether the child is progressing as expected, is lagging behind, or is significantly more advanced than the rest. It is for this reason that in choosing the right toys for your toddler you need to carefully understand their developmental milestones. As your child grows through the months, they will learn to throw and kick a ball, push and pull on things like a stroller, squat down to pick up things, climb stairs and chairs, run or sprint in 2 seconds, and jump beginning from a low structure to jumping in place from a standing position. These all require strong muscles, hand-eye coordination, and excellent control of muscle movements. More importantly however, is that your tyke will now learn potty training which gives him a fair sense of cause-and-effect, a major theme in most toys for toddlers. Toddlers love bedtime stories as well as storytelling opportunities. They love looking at pictures and understand that a story always have a beginning and an end. They also learn how to use books and how these can tell a fascinating story. In a way, they are already expanding their vocabulary, numerical skills, language, and communication. They also learn to associate certain characters with distinct shapes, names, and sounds often depending on your ability to mimic them. Your toddler is a little Dora or Diego who loves to explore the many things around him. For many months he was only confined to his playpen or crib, ever-dependent on you for his needs. Now is the time for him to explore and be independent. This is what Erik Erikson called the Autonomy vs. Shame and Doubt stage of child development. Letting him experience his world is one way of fostering a sense of autonomy, or independence, which can help him understand his world a lot better. More importantly, they now know that they are individuals totally different from you and others. Akin to pre-reading, your toddler will now begin formulating his very own rudimentary sentences. You can help this by expanding his vocabulary so that he is able to express himself as best he can. Remember, if your toddler will not be able to express his thoughts and feelings simply because he doesn’t know the word for it, he becomes frustrated and may throw temper tantrums. Everything is new for the toddler, including feelings. Now he experiences frustrations, anger, possessiveness, excitement, guilt, and even shame. They may still have separation anxiety but expect this to wane by the 2nd What is important is that they now learn to associate these feelings and behaviors with those of others. As such, it is a very important developmental milestone for introducing social play later in preschool. Now that we have tackled the developmental milestones you can expect from your toddler, you now have an idea of what kind of toy will suit best your precious tyke. But before you head to the store or make your online shopping, it is important to understand the type of play that your toddler will normally engage in. For most toddlers, there are 6 types of play that they can engage in. These are play patterns that define their level of engagement and whether this will include playing with others or not. Solitary Play – In this type of play, your toddler will be playing on his own and will never even be bothered nor show interest in what other children are doing. Parallel Play – In this type of play, your child will be playing alongside another child playing exactly the same thing but he does not actively engage with the other child. For example, both may be playing with building blocks but they are so engrossed with their own set of building blocks that they appear like they have their own respective worlds. Onlooker Play – This type of play is not really a play pattern because your toddler will only be interested in watching what other children are playing. He may ask questions occasionally or talk with other children but will not engage in the play activity. Imitative Play – This is almost similar to parallel play except that toddlers will be copying what other children are playing. For example, one child may start to jump and your toddler follows suit. Associative Play – This is the foundation of cooperative play and begins with your toddler understanding that it is more fun to interact with other children while playing. He begins to appreciate the importance of other children during playtime instead of the toys. Cooperative Play – Towards the later stages of toddlerhood, your tyke will learn to cooperate with other children in accomplishing a particular task during playtime. It is during this time that the social skills of your toddler gets more organized. These patterns of play should help you better understand the type of toy to get your toddler. If he is more of a solitary player, then you need to choose toys that help enhance this play. If you want to develop his social skills as he has begun showing interest in other children, then you need toys that require the help or assistance of another child. By now you should already have an idea of the right toys to choose for your precious little tyke. Here are some tips for you to consider. Always Think of Safety First – Whatever you do, please always choose toys that are safe for your toddler. This includes no sharp objects, no small mechanical parts that can be put in the mouth, and even toys and playthings that are made of harmful chemicals and other finishers. Think of Toys that can be Played in Different Ways – Your toddler is naturally curious. He would want to experiment with things. Choosing a toy that can be played in a variety of ways can help him achieve this. Choose interlocking blocks, nesting cups, or even toys for water and sand play to help him develop is logical thinking and problem-solving skills. Choose Toys that Your Child will Use for a Long Time – If you have a child that has a very short attention span, then it may be quite challenging to look for a toy which he will be interested in for a long time. Nevertheless, it is important to look for toys that will continue to inspire your child to keep on playing with it. Choose toddler-friendly action, doll, and animal figures or any other plaything which your toddler will still be playing with even if he is already in school. Look for Toys that Encourage Problem-Solving and Exploration – Give your toddler playthings that encourage them to think their way through a particular puzzle or problem. Toddlers are little explorers and would want to solve things on their own. Choosing toys such as shape-sorters, art materials, play dough, and even puzzles can always help to develop your toddler’s spatial relations skills, fine motor skills, and hand-eye coordination. 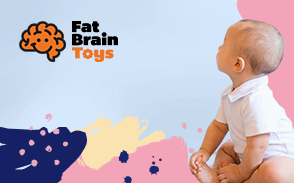 Check out some of our best educational toys for toddlers here. Choose Toys that can Spark Your Child’s Creativity and Imagination – By the time your child reaches the final stages of his toddlerhood, he begins to understand that he is a very unique individual. Make-believe play can be an exciting opportunity to build his language skills, literacy skills, sequential-ordering skills, and problem-solving skills. Make sure to give him action figures, toddler building blocks, trains and trucks. For your daughter, try dress-up clothing, stuffed dolls and animals, or even real-life accessories. You might not think of it but the ordinary looking box can stir quite an imagination in your child. Look for Toys that Mimic the Real Stuff – Remember that toddlers want to explore their surroundings and that they would like to learn as much as they can about it. As such, giving them toys and playthings that mimic real-life things, objects, and even people can be a very helpful way of helping them develop their spatial relations skills as well as problem-solving skills and fine motor skills. Choose Toys that Help Facilitate Your Toddler’s Readiness to Read – Every story has a beginning and an end. Make sure to throw in storybooks in his playthings arsenal. You can choose electronic books that integrate tactile, visual, and auditory stimulation in one. Learning the alphabet and numbers including their pronunciation can help widen his vocabulary so he will be able to communicate a lot better with you. Choose Toys that Encourage Your Tyke to be Active – The physical development of your toddler is miles away from when he was still an infant. He needs to be physically active as a means of exploring his environment. He will need toys that can improve his muscle strength as well as develop new skills. You can choose ride-on-toys, tricycles, toddler scooters, child-sized basketball hoop and bowling sets, and even a tunnel to crawl through. You can even consider play gardening tools. Look for Toys that Nurture Play across Generations – One way to help foster your toddler’s social skills is by engaging him during his play. This means you may need to choose a toy that can also be played by other members of your family. Board games are an excellent way to encourage the development of memory skills, listening skills, matching and counting skills, and, more importantly, learning self-control. Additionally, these types of toys or playthings can be excellent ways to nurture your toddler’s relationship-building skills while at the same time nurturing his language. This also teaches your kid on becoming a gracious winner and coping with losing. With these tips and an understanding of how toddlers develop over time and the types of play they will likely engage in, you are now more confident in choosing the right toys for your toddler. After all, you only want to give the best for your precious tyke.